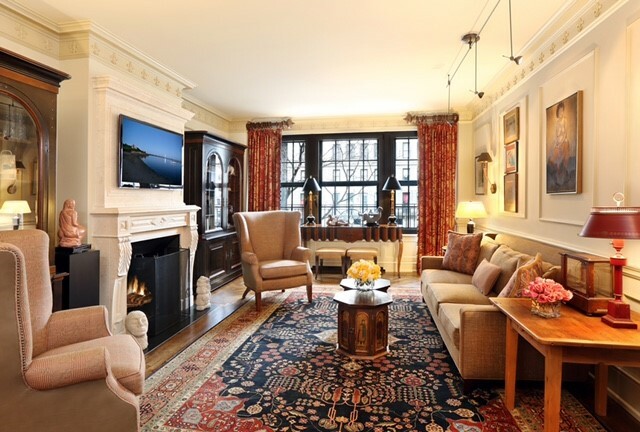 New York apartments are great fun and challenging to renovate and restore in the city. 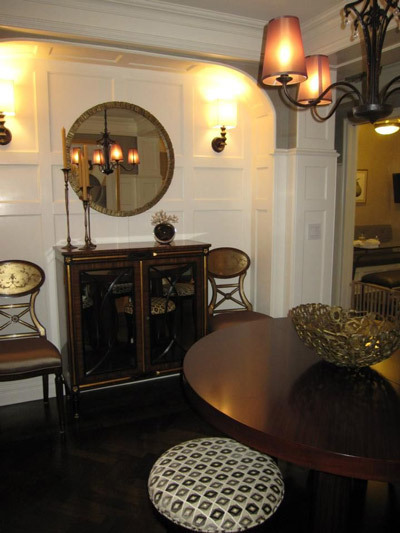 Gail Whiting, ASID, CID has created 3 totally different 2,000 sq. 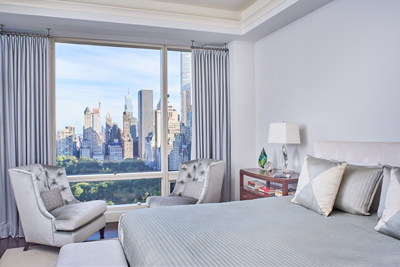 ft. NY apartments from Central Park West to Park Ave to 79th Street. They all were very unique, a testament to Gail’s philosophy of interpreting the client’s individual tastes and functional requirements. The projects run from total gut to modest renovations to just furnishings. Every scenario was unique, well planned and completed with excellence. NY-great fun and challenging to renovate and restore apartments in the city. First of all, you need great trades who know the ropes and have patient clients. We have completed four in the past three years. They all were very different and spectacular! 1. 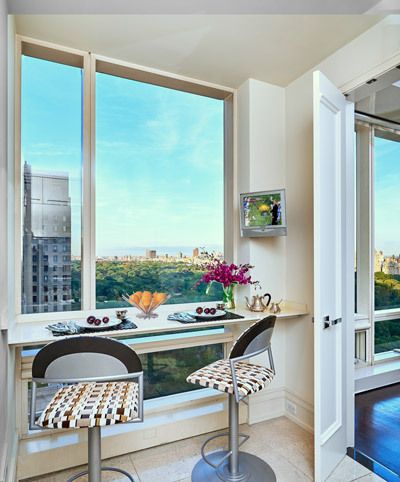 Central Park West – is avant-garde, lacquered walls and fabulous views of Central Park. 2. 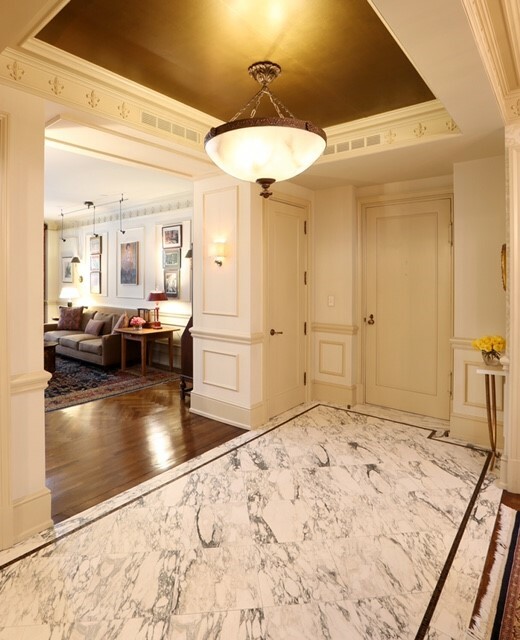 Park Avenue – a mixture of styles and art. The neat part was how much space and function I was able to create in 2,000 sq. ft. Three bedrooms, large living room and dining room with an angled kitchen that had seating, super storage and a laundry alcove with sink, cabinets, ironing board and 3 full baths. The realtor commented on the value that was added. 3. 79th Street – Single mom; eat in kitchen, three bedrooms, two full baths, plus a den, living room and dining room. The space looks three times larger and so much more inviting. To create a very sophisticated contemporary pied-a-terre space with a neutral background to not conflict with the strong international art work. The apartment had no architectural elements, had blonde hardwood floors and basic NY travertine marble bathrooms. 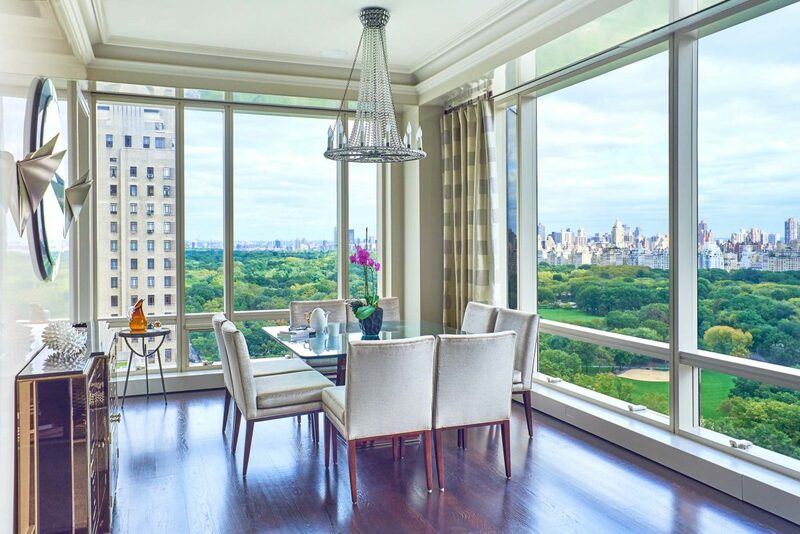 A Wonderful pied-a-terre to retreat to! 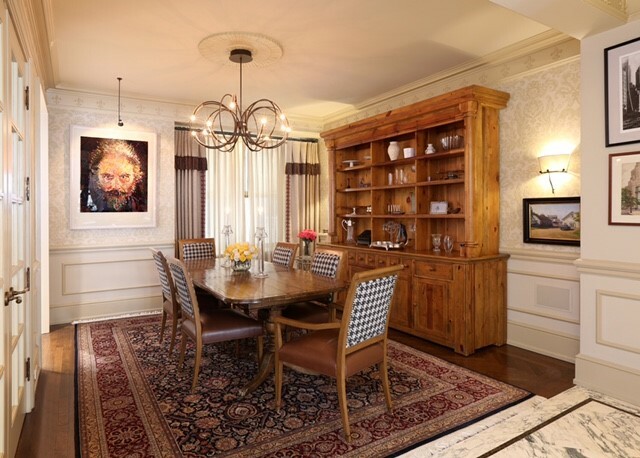 To create a permanent residence that would display their vast collection of art, fulfill their closet and entertaining needs and accommodate family guests. The apartment had not been upgraded since the 70’s. Needless to say, we had to strip it to the bones. It had no closet space, and both the kitchen and bathrooms were awful. It had some nice molding detail and some quality doors that we tried to keep. Everything had to go except the fireplace wall in the living room. To create three full bathrooms, three bedrooms, and an excellent working eat-in kitchen – as a bonus, I was also able to design a laundry area – Zazaam! • We have a pantry, plus built-in wine, plus two dishwashers, 36″cooktop, double ovens, etc. At the end of the kitchen are the washer and dryer with a small counter with a sink and overhead cabinets and a built-in ironing board. Do you believe it? There is a mixture of items they wanted to bring – from the dining room furniture to lots of art and accessories. They lean more towards the Ralphy look but have an edge of being comfortable with contemporary. I had great fun making this all work. I used some large scale fabrics for the windows in the living room and master bedroom to visually expand the space. The living room is rich reds, burgundy, camels, creams, and navies. The dining room has a fabulous neutral damask wallpaper while linen cream fabrics accent the windows, all grounded with a navy and burgundy rug. A top to bottom revival of the apartment now that now has boundless storage capacity and which properly showcases the client’s extensive art collection in a unifying and cohesive way. 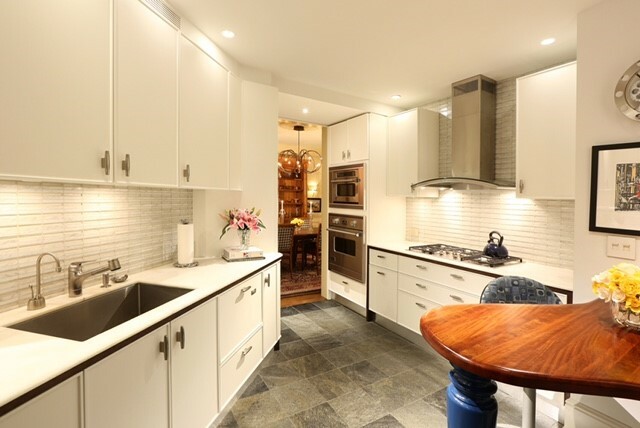 Three bedroom apartment on East 79th St. Client is a single mom with two darling children and two dogs. To furnish her new apartment from scratch and make a new beginning for her and her family. The apartment had been upgraded within the last two years and it was done well with architectural details, quality bathrooms, an eat-in kitchen plus a separate den. To create a today sophisticated look that is practical and livable for a young family. We created a larger feeling to the space with the use of an overstuffed modular that will seat a gang. We added benches for extra seating and a huge cocktail ottoman as well as a man size comfortable chair. • This works as two functions – the foyer table expands to seat 8-10. 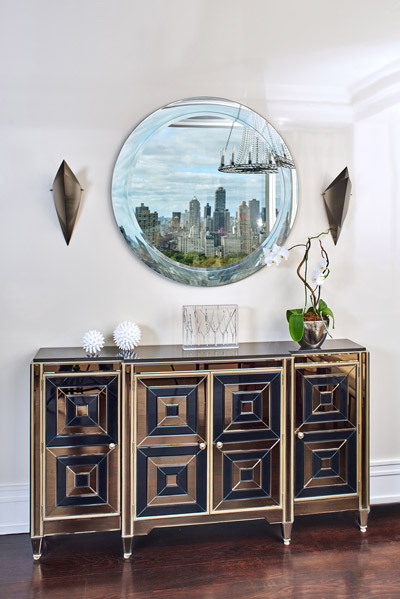 We used stools placed around the base for seating for 4 and added two fabulous chairs to flank the mirrored storage chest creating instant seating for 6. • The large scale painting adds drama and the mirror is an expander. This is a great room to use as a home office or hang-out space with a pullout sleeper sofa creating a 4th bedroom. All in 2,000 sq ft.
• We replaced the carpeting and gave her a low contemporary look with a mirrored vanity, fun chair, and dramatic art. This room needed nothing but paint, and we used his existing furniture. • We put a king size bed, double dresser, a high chest, nightstands, and a comfy chair for reading. • This space is very soothing in soft camels, dark case goods, upholstered headboard and a contemporary crystal chandelier. Carries the sage green color while we replaced the banquette with an artsy commercial fabric and added a glass table with a bench and desk chair in iron. Everyone has their space so they can be together or not. A very inviting space that makes you smile and feel welcomed! 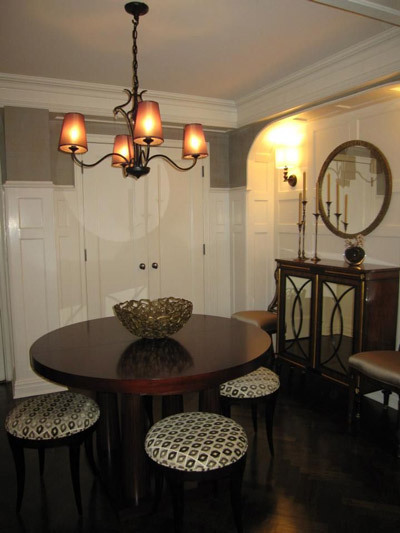 Design Consultants is a full-service interior design firm. We also have a shop full of wonderful entertaining and gift giving items; frames, artwork, boxes, furniture, antiques and always that unexpected something special. For more interior design and home decor ideas follow me on Instagram. 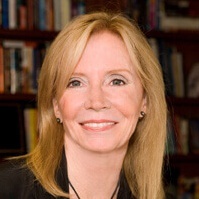 Gail Whiting, ASID, CID is the owner of Design Consultants in Bedminister, N.J. She values her clients and works closely with them while paying attention to detail, creating a warm and inviting environment with sophistication and a touch of the unexpected.